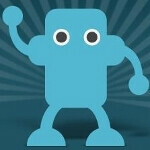 When talking about the top Twitter apps for Android, Twidroyd is usually included on just about everyone's top 5 list. Sure, if you start to pick nits, there are better options for speed (Twicca) or widgets (Plume), but Twidroyd has a huge set of features and it keeps getting better. The newest update, version 6, includes a long list of new additions that has led the developer, UberMedia, to call this the biggest release ever. The signature feature of Twidroyd is LivePreview, which is invoked when you turn your device into landscape mode. It places your Twitter feed next to a preview panel which will load pictures or links without needing to launch a browser. This feature has been beefed up with support for t.co links, as well as lockerz.com images. One of the other big features is the inclusion of the UberBar, which is a scrollable link dock at the bottom of the app. 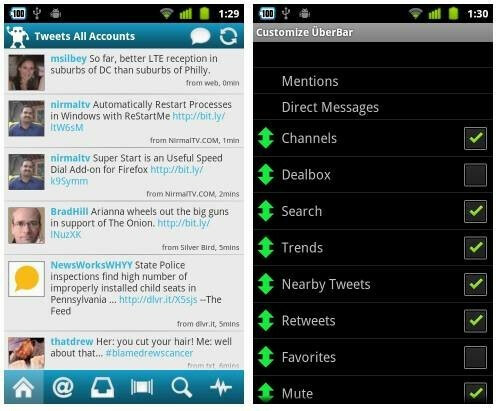 The UberBar includes quick links for useful things like home, mentions, channels, Dealbox, trending topics, and a lot more. The UberBar is customizable, but only insofar as removing or moving items. We would have liked to see an option for quick links to Twitter lists or custom searches. Other features added are all smaller tweaks to make navigating the app, and controlling tweets with more powerful options. The compose screen has had buttons added to send, attach or shorten, much like the buttons found in Twicca. There are also a number of options to view timestamps on tweets, select locations for trending topics, verified user icons, and a lot more. If you're looking for a full service Twitter app for Android, Twidroyd is hard to beat on features, and it's certainly worth a try.